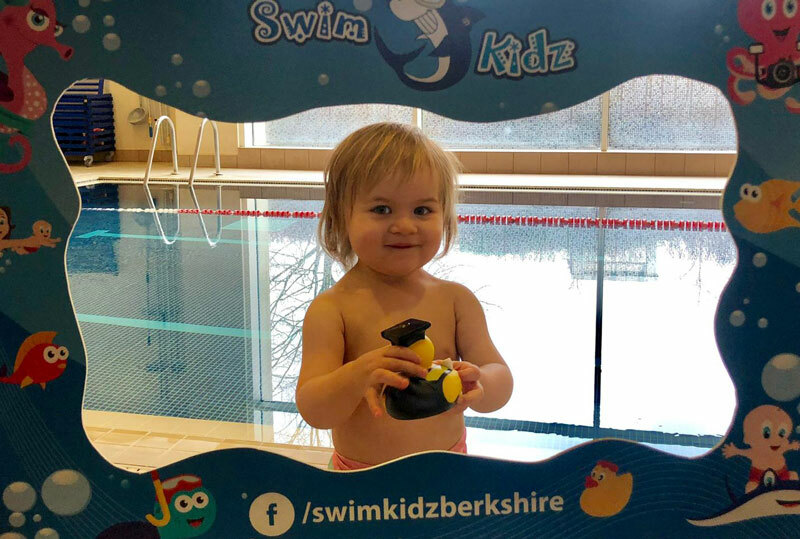 While you don’t need any special gear to attend Swimkidz swimming lessons, if you and your child plan to swim regularly, there are some great swimming aids and other practical accessories out there to help and enhance your experience. Here is our pick of the best swimming accessories for you and your little one. A great combination of fun and functionality, SwimFin describes its brightly-coloured wearable shark fin as “a teaching aid, flotation device and fun water toy all in one”. 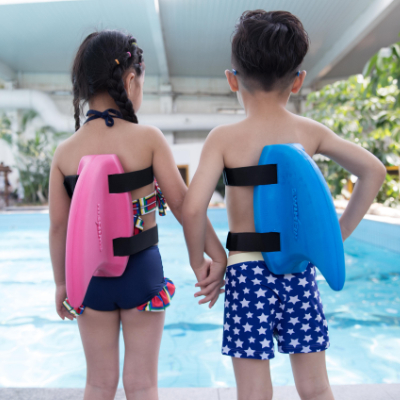 Worn on the back, the SwimFin provides added buoyancy without restricting the child’s movement – unlike traditional arm-bands. 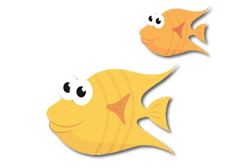 With adjustable straps (also available separately) and a range of fun colours, SwimFins are suitable for kids 18 months and older, and for all ability levels. 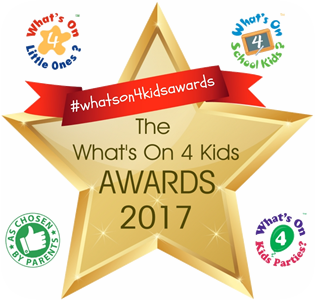 Plus, they look great and lend themselves perfectly to imaginative play – what kid doesn’t want to be a shark in the water? 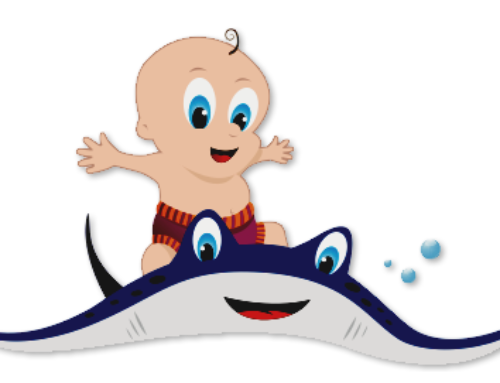 Cuddledry started out with one really useful product for baby’s bath time – their baby apron towel, which attaches around your neck like an apron, leaving both your hands free. 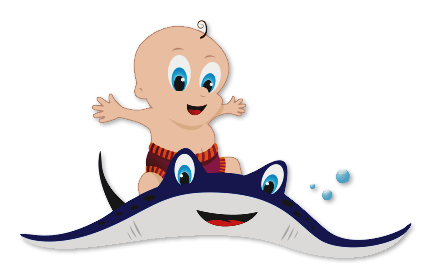 Now their range has expanded to include swim towels, dress-up towels, ponchos and robes for babies and children, all made from super-soft bamboo and cotton. 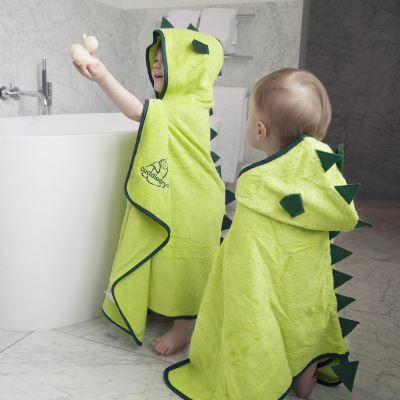 We particularly like the ‘Cuddleroar’ hooded bath towel, perfect for the little dinosaur in your life! 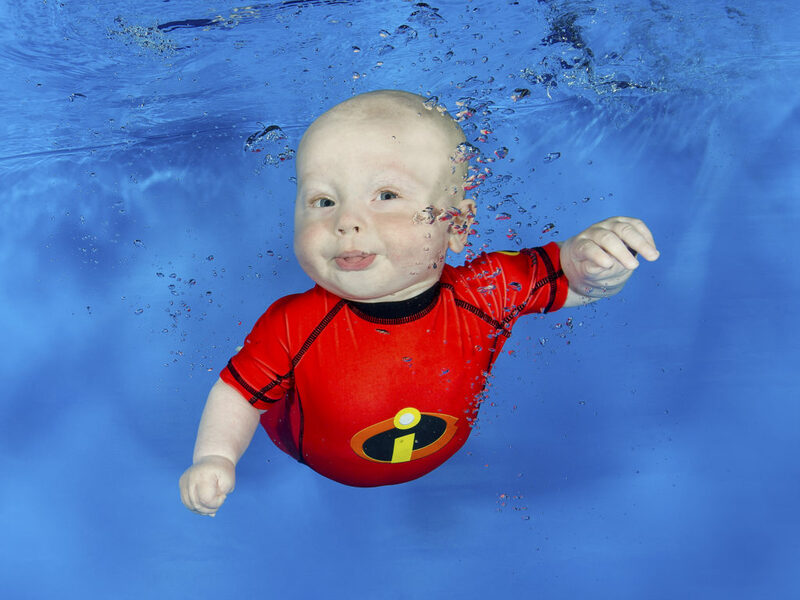 Happy Nappy is a range of award-winning reusable swimwear for babies and toddlers that incorporates a built-in nappy. Made from high-quality neoprene, the Happy Nappy fits snugly around baby’s bottom and the nylon elastane ribs ensure a comfortable and leak-free fit around baby’s tummy and thighs. Available in a huge range of fun colours and prints, the Happy Nappy is perfect for all water babies, and is easy to clean – “simply rinse, roll and reuse”! 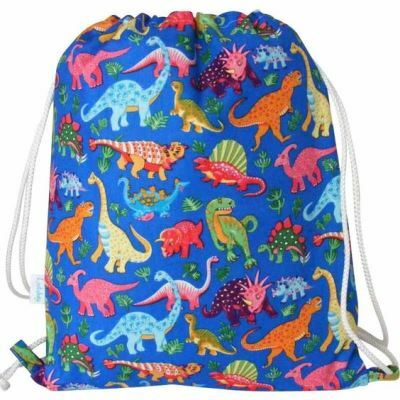 Lootybag’s swimming bags are handmade in the UK and fitted with a waterproof nylon lining, making them perfect for carrying wet swimming kit. Strong and hard-wearing, each bag has two drawcord straps, so it can be worn over both shoulders. 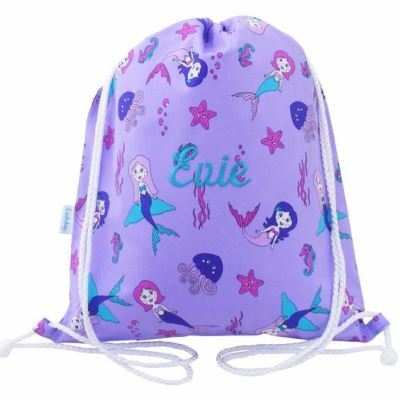 Great for swimming and PE lessons, Lootybags are machine washable (cool gentle wash) and come with a write-on name label attached. They come in a large variety of prints and patterns and can be personalised too. 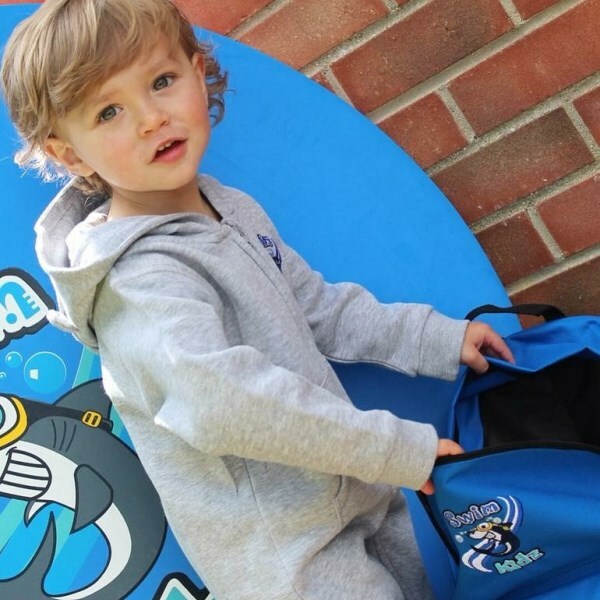 Last, but certainly not least, our very own Swimkidz onesies; perfect for wrapping up warm after swimming! 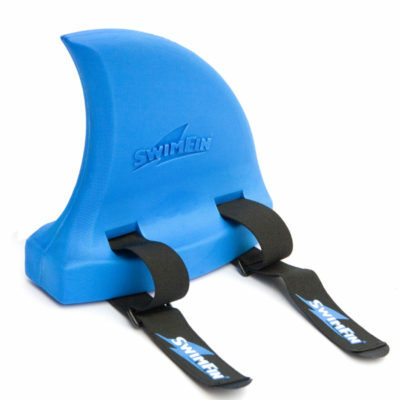 For more information and to order, please email sharky@swimkidz.co.uk. 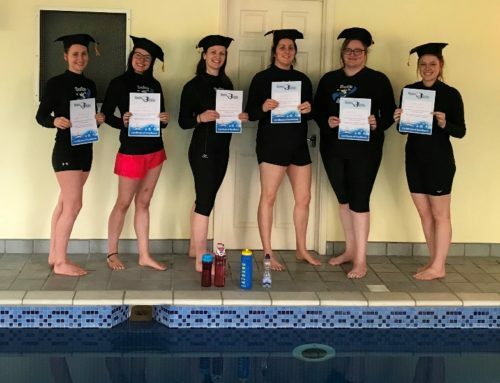 With a remarkable team of family-owned businesses across the south of England and Wales, Swimkidz is proud to have taught thousands of little ones to swim and become safer around water. 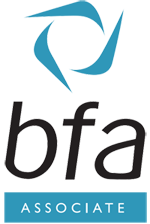 Contact us today to find your nearest class.